We're updating our bio to reflect our 7th (OMG) season! Stay tuned! A Seattle native, Emily Cole recently earned a master’s degree at the University of North Texas, following undergraduate study at the University of Texas. While in Texas, she performed with the Dallas Symphony, the Abilene Philharmonic and other orchestras. She joined the Oregon Symphony in 2011 and currently serves on the faculty of Lewis and Clark College. 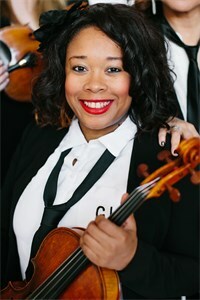 Ms Cole has held concertmaster and principal positions at the 2005 and 2007 National Orchestral Institute and at the 2006 International Festival-Institute at Round Top. She was the first place winner for violin in the 2003 Washington State Music Educators Competition. In 2004, Ms Cole performed Vivaldi's Violin Concerto no. 12 with the Seattle Symphony Orchestra and conductor Gerard Schwarz in a concert honoring longtime SSO patron Rebecca Benaroya. As a recitalist, she appeared on the 2008 Green Recital Series at the Carnegie Cultural Center in Ottawa, Kansas, a performance that was recorded for Kansas Public Television. She has performed in master classes for Glenn Dicterow, Sidney Harth, and Cho-Liang Lin. 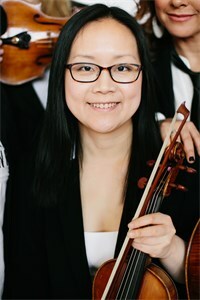 Shin-young has been a member of the Oregon Symphony orchestra since 2004. 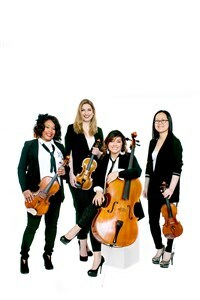 She joined the Arnica String Quartet in 2005, and is a founding member of the Portland-based string quartet Mousai Remix since 2011. In 1996, Shin-young transferred from Seoul National University to the Manhattan School of Music, where she studied with Sylvia Rosenberg and earned both her B.M. and M.M. She later completed her Doctor of Musical Arts at Indiana University as a student of Miriam Fried. Shin-young’s dissertation is a survey of string quartets by minor composers of the Classical period. Shin-young has been coached by Atar Arad, James Buswell, Isidore Cohen, Glenn Dicterow, Alexander Kerr, Peter Salaf, János Starker, Sheryl Staples, Alan de Veritch, Zvi Zeitlin, and members of the Orion, Juilliard, Chicago, and Takács quartets. She has also participated in a number of music festivals, including the Aspen Music Festival, the Colorado Music Festival, and the Music Academy of the West, the New York String Seminar, the Sarasota Music Festival, the Tanglewood Music Center, and the Taos School of Music. 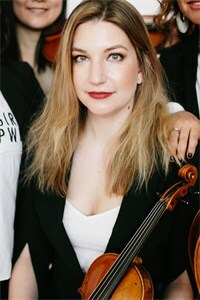 Cleveland, OH native Jennifer Arnold joined the Oregon Symphony viola section after graduating from the Cleveland Institute of Music in 2005. She is a vocal advocate for diversity in classical music and is member of the Sphinx Symphony Orchestra and the Gateways Festival, organizations that showcase the contributions that black and brown artists have brought to classical music. Jennifer believes access to arts education is essential and has recently finished her tenure as State Chapter President of Oregon ASTA in addition to being on the faculty of the Sphinx Performance Academy and Portland Summer Ensembles. She spent 2016-17 on sabbatical and accepted a position as the 1st Sphinx Diversity Fellow pursuing a career in Arts Administration. Outside of the OSO, Jennifer has had the pleasure of being a BIG for Big Brothers/Big Sisters of Oregon, volunteering for the African American Health Coalition, and is currently a member of the Urban League of Portland YPs. Among Jennifer’s most notable achievements was to premiere Two Romances for Viola and Orchestra by the incredible Black American composer Adolphus Hailstork with The Cleveland Orchestra while she was in high school. Follow her musical adventures on twitter @24caratviola. 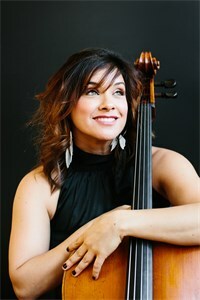 Brazilian cellist Marilyn de Oliveira has been the Assistant Principal Cellist of the Oregon Symphony since September, 2009. During her few years in Portland, Marilyn has already been an active member of the area's classical music outreach and education scene with efforts such as founding the Oregon Symphony Player's Caroling Project, being a coach to Portland Youth Philharmonic students and being a part of the Portland Summer Ensembles faculty. Prior to joining the Oregon Symphony, Marilyn was a member of the San Antonio Symphony for three seasons as both a section player and acting assistant principal. She has also been a fellow of the New World Symphony, Tanglewood Music Center (where she received the Karl Zeise Memorial Cello Prize), Spoleto Festival USA, Kent/Blossom Music Center, and Youth Orchestra of the Americas. In 2006, Marilyn was the Bronze Award Winner in the senior division of the 9th Annual Sphinx Competition. She holds a Bachelor of Music degree from Indiana University under cellist Emilio Colon and a Master of Music degree from Rice University with Norman Fischer. Some of her live solo performances can be heard regularly on National Public Radio’s Performance Today. Marilyn is married to Oregon Symphony cellist Trevor Fitzpatrick. Become a fan of Mousai Remix to hear about new music, videos, event info & special offers.